How does one live on Salt Spring, if work is still in your life script? Retirement is one thing, but what if an income stream is still essential? Tourism (the visitor experience) is the main economic driver on Salt Spring and the Gulf Islands. 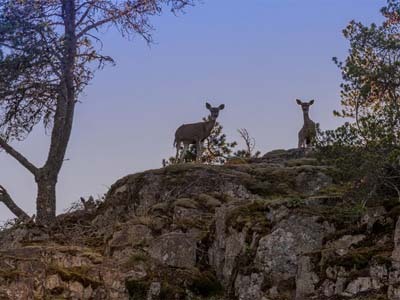 Essentially park reserves (growth has been curtailed by the Islands Trust, a provincial government body in place since 1974, with the mandate "to preserve and protect" the natural beauties of the Gulf Islands, for the benefit of all B.C. residents), all the Gulf Islands are mainly secondary home/recreational environs. Kayak and scooter rentals, restaurants, coffee stops, marinas, boat rentals, whale watching tours, mini-bus tours of the Island, wine-tastings at vineyards, trail networks for hikers, cheese-maker bistro, B&B accommodations, vacation rentals (where zoning allows), cleaning services, retail options, groceries, galleries...plus: services (realtors, lawyers, banks, insurance agencies, investment advisors, hair stylists, barbers, health providers)...plus: a successful visitor experience often results in a real estate purchase, and then all the trades get busy (contractors, designers, architects, excavators, septic installers, building inspectors, painters, drywallers, soft furnishing providers, landscapers, gardeners)....and so on it goes. The engine of all this community endeavour is tourism. Check out the local Chamber of Commerce and discover potential options for you. The Islands Trust (a government body) did control growth through strict zoning/density bylaws (in 1974). There is always opportunity. An entrepreneurial spirit is important. A secondary home region can be seasonal when considering physicality on the island. In an online culture, depending on what is offered by a business owner, there is no season...hmmm...that sounds like opportunity right there. Thinking of making Salt Spring your home and you still need an income stream? Time to dust off your creative mind and...ponder. It always works! Back to the land movement calling your name?